Last week I talked about the advantages that the brick and mortar, (B&M) guys have over e-commerce companies selling sleep products primarily online. Today, I want to flip that over and share some thoughts on why the digital approach to this category is capturing most of the growth in the market. As a reminder to everyone, this is just one guy’s opinion so be sure to share thoughts wherever you might be reading this. Giving consumers a choice on what to buy is a good thing, HOWEVER, you know what they say about too much of a good thing. E-commerce companies have really done a great job of simplifying the purchase of a bed. I am not of the mind that there is one bed for everyone, but to not have to decide against 50 different products feels a little less intimidating to the consumer; especially if there is no one there to facilitate the sale. Bed in a box company’s (BIB) are starting to expand their offering so we will see how far they take it. Not only have BIB companies made the decision-making process easy, they have taken the pushy retail sales associate out of the picture. This isn’t a fair thing to point out for all of the retailers that have created good buying experiences for the consumer, but there are plenty of stores out there with the “used car” mentality. That and many people today prefer to buy things online because they are just used to it now and when you consider the 10’s of thousands of positive reviews from consumers buying a bed from a website, they make a pretty good case for purchasing this way. If your in-store experience isn’t good enough for her to tell a friend about when she leaves, why should she even come in? When you consider which bedding brands are spending the marketing money at the national level, the advantage definitely goes to the BIB guys. If they own the share of voice the way that they do, they are going to get the attention, click, view, share, and eventually the sale. It’s not just that they are advertising more, take a look at the message the BIB guys are delivering. I visited some of the top retail B&M websites against the top BIB websites and you know what one of the biggest differences was aside from design? Message. If all you do in your marketing is pimp the sale, then you are building no value with the consumer. 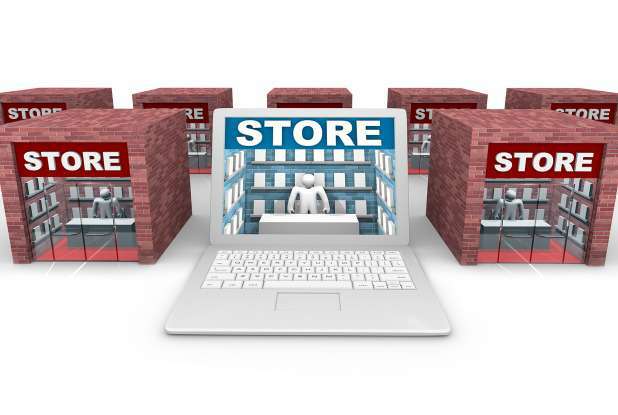 Don’t stop at retail, it’s the same for many of the manufacturer’s websites. If you have products that deliver a wonderful night of sleep, fix her problems, and help her achieve a better quality of life, don’t you think this is something we should share? Of course you need to tell them that you have products cheaper than anyone else, and make sure they know about your financing options, but if you don’t BUILD VALUE in the products that you sell, you are missing out in a big way. (That financing plug is a shout out to my good buddy and loyal Q’s View’s reader Dan White at West Creek Financial . 🙂 Don’t take my word for it, visit some of these sites for yourself and see who builds value and who doesn’t. If you’re buying a new pair of dress shoes and the guy selling you spends 98% of his time on how cheap his stuff is instead of how great his products are, what kind of impression does it give you? Since we’re on the marketing message, what group does a better job actually connecting to the consumer these days and by connecting I mean making the consumer actually FEEL SOMETHING? (Consumers make buying decisions based on emotion right?) Who has the more creative approach to telling their story? Who makes it more fun to shop for a bed? If you insist on looking at this category through the same old lens, then you are going to suffer the fate of the buggy whip. Many of the BIB guys were never mattress people to begin with so their comfort zone is much larger than many of the long-time industry people and it shows in what is being said to the consumer. Here’s the good news for both sides, there’s plenty of business out there for the people that are willing to grow with the market, build solid strategy based on what’s going on around them, and form strong relationships with other companies that can help them achieve the end goal of profitability. I don’t care if you’re ringing people up with a brick or a click, my question to you is simple; are you skating to where the puck is or to where the puck is going? ⟵That’s What I’m Talking About! Mark another great write up, I completely agree with all your points. I strongly believe the success of the BIB dealer was due to supply and demand and taking advantage of what most brick and mortar dealers forget, their customers base resource of information and education and where they spend their time- on the internet. The BIB didn’t invent the wheel / bed, they saw the opportunity that was sitting in front of all BAM markets for providing the reasons why the consumer should be buying locally compared to a BIB sight. The average consumer well make 27-45 internet research searches for a new mattress, who shows up in the results time and time again will win that consumer confidence with the understanding that most won’t buy from the top 4-6 big box shores that own the search results. In comes BIB and that consumer now sees a reason why they shouldn’t have to leave the house, deal with a sales person and still get a great deal / price. They’ve done all their research and know all the differences. Granted they’re not the best mattresses, but the consumer is taking that risk. BIB sales will only continue to move higher, take over more market share and at some point out preform the BAM sales numbers. I bet most BAM dealers will disagree on my last point and will stay in the world of, well most customers still want to travel to a store to test the feel and the differences. Some will even stay well I invested or have the in store bed technology that allows you to lay down and get your sleep measurements for the perfect recommendation of bed for them. Well it won’t be to long, as I know of a few phone apps that are now in beta that well allow the consumer to do this at home now. Who thought of this- the BIB dealers, their just thinking outside the box on how to take more market share and to give the consumer another reason why not to leave their home to buy a new mattress. Thanks a lot for reading Kheley. I don’t know about the e-commerce companies taking over the B&M business-at least for a while- but I agree that they are doing some great things online. I had not heard about the app that allows the consumer to do some sort of bed fit process, so that’s really cool. Reminds me of what Warby Parker did early on to fit you for glasses. Who knows where it goes but I really like the fact that there is some action in this industry! Great article as a click to bricks retailer we are working on how we can build a better shopping experience for the consumer with a message that will resonate addressing the pain points of today’s consumer while still offering the right information to make an intelligent buying decision. This is not easy and we all have to start looking outside the box of advertising messages of the past. I remember what an old friend from the bedding business told me when I was younger …Nobody wants to buy a new mattress it’s just like tires you only buy if you have to. No doubt Jack, you have to create the WANT because anyone selling a commodity can satisfy the need. A great place to shop, (brick or click) and a compelling product/story, can make all the difference. Thanks for the comment Mr. Wells! There is a revolution going on in our industry. Transparency, great customer service and ease of purchase, without the risk of making a wrong decision (100 Day comfort guarantee) is making the consumer comfortable to make a blind or somewhat blind purchase on line. B&M needs to offer the same convenience and service to level the playing field. Customer service will win every time. The internet consumer actually wants the best of both worlds, full service delivery, ease of purchase and a convenient comfort return and or warranty policy. The B&M dealers need to step up their game to win with today’s ever evolving consumer. No doubt Stu that they are creating a very compelling way to buy a bed. I think a lot of the retailers have matched up with the offers of the e-commerce guys taking away a lot of that advantage so I think a much of this comes down to HOW a consumer wants to purchase. Ultimately the major winners in the category are going to be the BIB guys that are successfully moving into B&M and the B&M guys that do a better job in the digital space. Isn’t that where it all goes? You can certainly be great in one channel but the dominant players will be great in both. Thanks for the comments and for reading! Great article and many good comments. From an “old timers” (retired from the industry but still following) perspective, there a few additional points I would like to point out. Think about your demographics. A larger portion of beds are bought by those between 20 and 40. These are primarily Gen-ex to millennials that are more experienced and more comfortable with Amazon than Sears. 2) Most now give a 100 day (or similar) trial period during which you can return the bed. We know that usually, within 100 days of use most folks become accustomed to the feel of a new sleep surface assuming it started out being targeted to their needs. 3) BIB are easier to receive and set up in a lot of physical spaces compared to a traditional mattress. Try moving a traditional King or Queen mattress up stairs or in an elevator. While these are things that may seem to be outside of the traditional mattress buying decision they should also be taken in consideration if B&M are going to continue to compete a grow. Thanks for reading Loel, we need to learn from the “old timers” perspective. Always. Consumers definitely like to buy this way, the question is how much market share will that channel take? We will see.